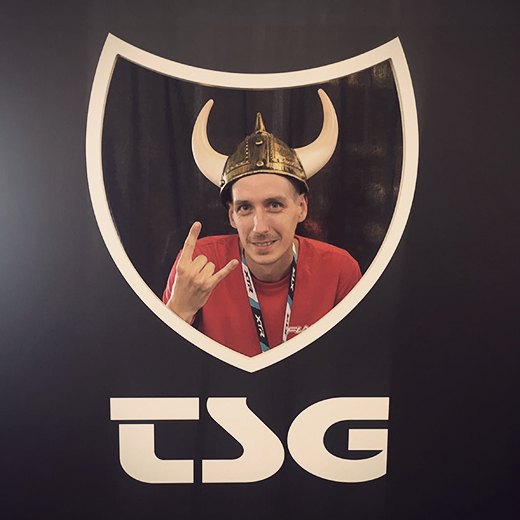 At this year’s Eurobike we invited visitors to join our photo challenge and create their personal TSG logo in our #wearetsg photo booth. It was pretty easy and fun. Eurobike visitors took a photo in our photo booth creating their own personal TSG logo. Everybody who posted the photo public on instagram had the chance to win one head-to-toe TSG outfit. The post with the most likes won. With 652 likes the winner photo is from Sascha from roottrip.tv.